These festive Red Velvet Cobweb Cupcakes are as delicoious as they are detailed. Don't be afraid of these black cat cupcakes... they are devilishly good! Vanilla Meringue Frosting creates too-cute ghosts and delightfully a sweet bite topping your chocolate cupcake. At just 15 cents per serving, these mini cupcakes are easy to prepare and to work into your budget. Bake 3 dozen Mini Chocolate Cupcakes, then pipe whipped topping into a ghost shape and use chocolate chips for the eyes and nose. This cupcake is the showcase for our Halloween thrills. For the parade of goblins, ghosts, and monsters looking for something sweet, we top it with anything we can find on the candy aisle. There's no trick to this treat—it's scrumptious any time of year. Party-goers will go love these too-cute and easy (really!) Groot cupcakes from Guardians of the Galaxy. There's nothing artificial about these dramatically hued treats. Supermoist (and whole-grain) chocolate cupcakes get their blackout color from black sesame seeds and antioxidant-rich dark cocoa powder. These desserts are delicious and better for you, with every bit of fun, festive flair you crave. These spooky spiderweb cupcakes for Halloween are easier to decorate than you think. Simply frost in white icing, then pipe black icing in concentric circles and drag a toothpick through them to create the webbed effect. For kid-friendly cupcakes, use water instead of bourbon in the frosting. Looking for some not too scary Halloween snacks? These Carrot-Coconut Spice Cupcakes will to the trick. Try this spin on carrot cupcakes by added shredded coconut to the batter and toasted coconut on top! Instant coffee granules enhance these cupcakes' already rich chocolatey flavor. Top with a vanilla cream cheese frosting and add your favorite Halloween-inspired toppings, like licorice, jelly beans, or even plastic cake toppers (like the black cat shown here). Give your chocolate cupcakes a scary skeleton makeover! Frost Chocolate Cupcakes with a dollop of homemade white frosting, then top with a chocolate wafer and upside down mini chocolate cupcake. Add brown M&Ms for eyes and black licorice for a nose. White jelly beans transform this skeleton into a tasty, toothy treat. Tempted to break into those bags of candy you've stockpiled for trick-or-treaters? Melt a few Milky Ways in a saucepan and bake them into these ultra-rich cupcakes. Top with Chocolate-Marshmallow Frosting and chopped candy garnishes. 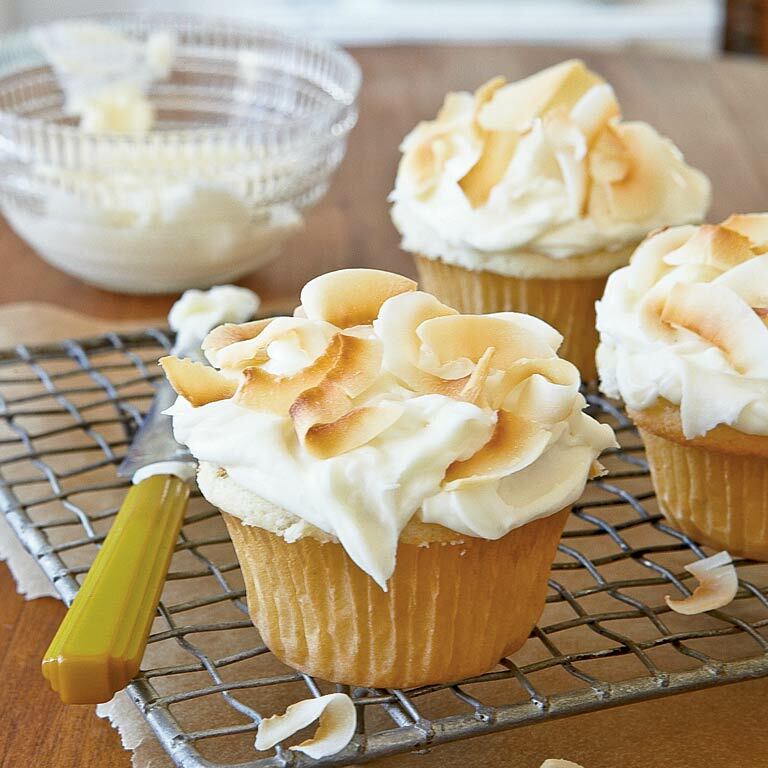 These devilish cupcakes feature a hidden treasure of ooey-gooey marshmallow cream filling. 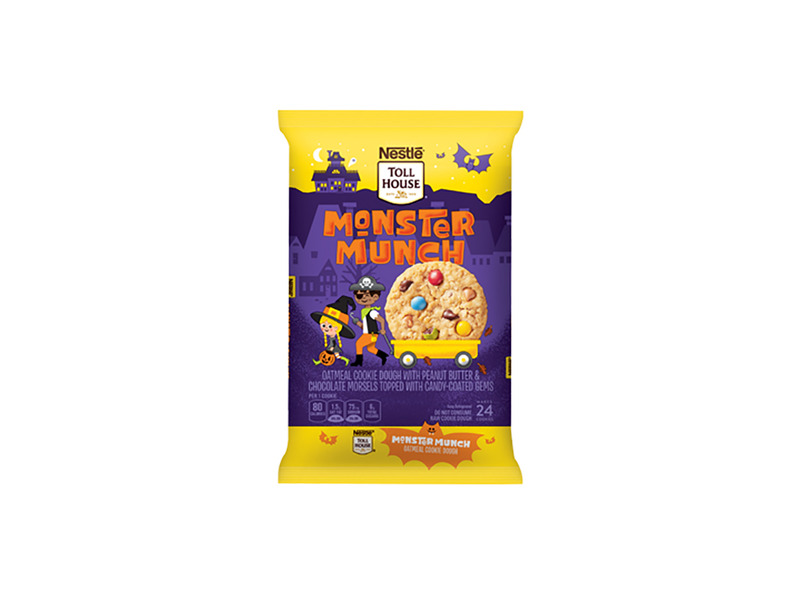 Your little ghosts and goblins are sure to devour these tasty treats! Nothing could be better than a chocolate cupcake topped with marshmallow frosting, except maybe one topped with marshmallow frosting AND ganache. If you want to pin this, we suggest swirling the ganache to look like spooky spiderwebs.